For the exciting release of Google Earth 5.0, the Google SketchUp team built a series of 3D models to highlight the new Ocean layer. Google Earth 5.0 now allows you to navigate under the surface of the sea and explore the ocean floor to see shipwrecks, submarines, buoys, and much more. We've put together a placemark tour to help easily find the 3D models in the ocean. To access the tour, download the kml file from the Google Earth Gallery page. 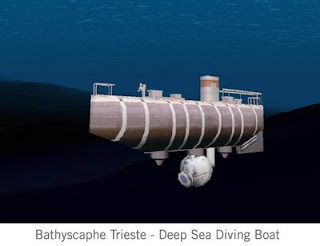 The tour will visit models such as the Titanic, Batttleship Bismark, Aquarius underwater laboratory, as well as other submarines, shipwrecks, and dive destinations. Please make sure you have the latest version of Google Earth 5.0 and the 3D Buildings layer is turned on. 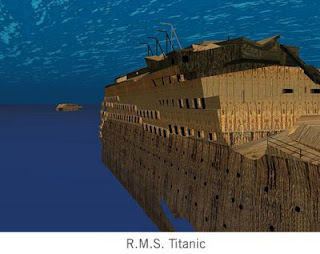 You can also find these models in the Google Earth - Ocean Layer collection in the Google 3D Warehouse. The SketchUp team added over 80 3D models to the 3D Buildings layer including models of NOAA moored buoys taking wind, wave, meteorological, and oceanographic measurements around the coasts of the United States. The models look great. I'm looking forward to seeing more.